Finding new roads takes guts, power, and versatility. 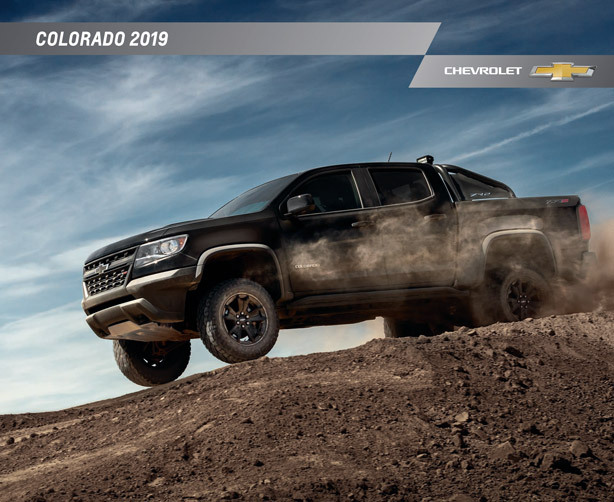 There's no better way to do so than in a 2019 Chevrolet Colorado. Almost full-size truck towing and payload capabilities come standard alongside the best fuel-efficiency in the mid-size class, and the most power with the available V6 engine or GM-exclusive Duramax 2.8L Turbo Diesel. You'll also be happy to know you can customize your Colorado look with three other Special Edition models like the ZR2 Dusk and Midnight Editions. Learn all about these models, see photos, and more in the digital brochure. Simply click the button below to view and download! If by browsing the downloadable brochure you find yourself interested and anxious to get your hands on one, it's time to see what's out there! At Graff Bay City, we're proud to carry a wide selection of new Chevrolet vehicles, including the 2019 Colorado. You can shop our full inventory of Colorado models online from your smartphone, tablet, or personal computer at your convenience. With each listing, you'll find pricing, current rebates and incentives, photos, and full window sticker details. 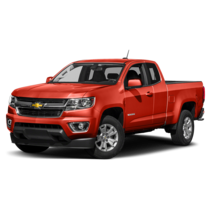 If you see a 2019 Chevrolet Colorado that's right for you and your budget, give our team a shout at (989) 684-4411. We'd love to show you around this awesome mid-size truck and let you take a test drive to see what it's made of!